Former Chelsea striker and manager Gianluca Vialli revealed on Monday that he has been battling cancer for the past year. Vialli, 54, who also scored 16 goals in 59 games for Italy and is now a popular TV pundit, told Italian daily Corriere della Sera that he hoped that his story would “inspire people”. “I’m fine now, very well indeed,” said Vialli, who won a host of trophies over his playing and short managerial career, including the Champions League with Juventus. Vialli has just published his second book ‘Goals, 98 stories +1 to face the most difficult challenges’. “I hope my story can inspire people, who are at crucial intersections of their lives, and I hope mine is a book to keep on the bedside table so people can read one or two stories before falling asleep or in the morning as soon as they wake up,” he said. “Another key phrase that came up during my treatment, hanging on a yellow post-it on the wall, was this: ‘We’re the product of our thoughts’. From Cremona in northern Italy, Vialli started his career with local club Cremonese in the early 1980s before going on to win major honours with top Italian sides Sampdoria and Juventus. Vialli spent the bulk of his career at Samp, where he won his first Serie A title, the Cup Winners’ Cup and three Italian Cups. He moved to Juve in 1992 and played for the Turin giants for four seasons, helping them win the league in 1995 and the Champions League the following season before moving to Premier League side Chelsea. 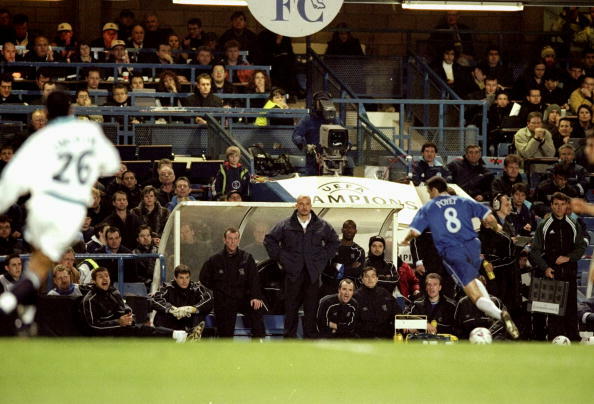 After winning the FA Cup in 1997, Chelsea’s first major honour in 26 years, he became the Blues’ player-manager towards the end of the following season, when he won both the Cup Winners’ Cup and League Cup. He also won the FA Cup as permanent manager in 2000. He left the club in September 2000 with his last managerial position a brief spell at Watford, where he was sacked in 2002 after one year. Last year, Vialli took part in AIB’s ‘The Toughest’ campaign, where he, alongside Harry Redknapp managed Castlehaven and Erin’s Isle respectively as they revisited their infamous All-Ireland Club semi-final from 20 years ago.